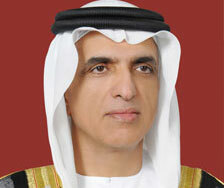 His Highness Sheikh Saud was named Supreme Council Member and Ruler of Ras Al Khaimah on October 27, 2010, following the death of his father, His Highness Sheikh Saqr. Sheikh Saud's rule has meant a continuation of the pro-growth policies that resulted in a per capita GDP increase of more than 50% from 2004-2007. In recent years, Ras Al Khaimah has continued to establish itself as a robust and growing market with a diversified economic base. Sheikh Saud studied economics at the University of Michigan in the United States, and was instrumental in the founding and restructuring of some of the most successful corporate enterprises in Ras Al Khaimah, including Julphar Pharmaceuticals and RAK Ceramics. 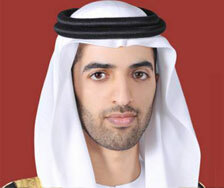 Sheikh Mohammed Bin Saud Bin Saqr Al Qasimi was named Crown Prince of Ras Al Khaimah by his father, His Highness Sheikh Saud, in 2010. A graduate of the Ras Al Khaimah Academy, H.H. Sheikh Mohammed graduated with a degree in Political Science from the University of California, Los Angeles (UCLA). Sheikh Mohammed joined the Ruler's Court following his return from the United States in 2009, and has since overseen several initiatives to streamline Ras Al Khaimah's government. He has also implemented the Mohammed Bin Saud Housing Rehabilitation Programme, and prioritizes the continued expansion of the Emirate's industrial and tourism sectors.